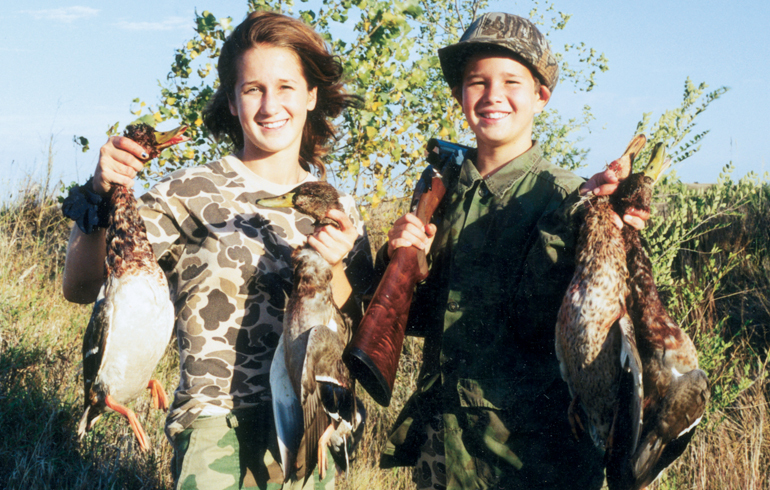 With fall drawing near, many states offer incredible youth hunting opportunities. If you’re a hunter I hope each and every person will consider taking a kid out hunting at some point this fall. 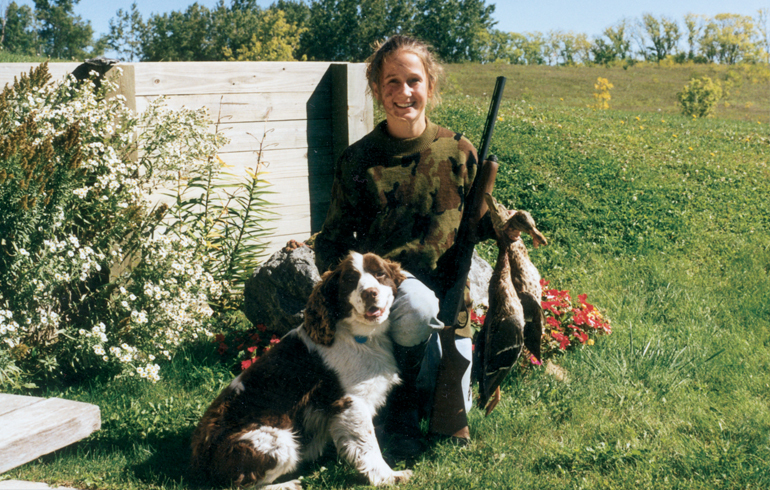 I loved doing anything outdoors, enjoyed the challenge of the hunt, and treasured the time spent with my family. Hunting was not something that was left to just the guys. I feel extremely fortunate to have had so many great female role models growing up. 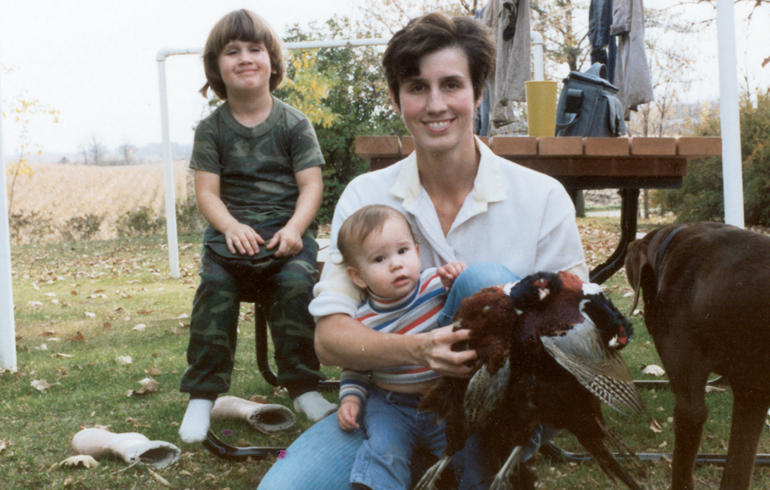 From my Grandma Rose, to my mom and her sisters, everyone enjoyed the outdoors and everything hunting has to offer. Since I was a little girl, my parents took the time to bring my brother and me along on all their hunting and fishing excursions. I can’t stress enough the importance of this, because I always felt this was a part of who we were as a family. Never once did I think that hunting is just for the guys or is it ok that I like to hunt even though I’m a girl. This was a way of life and a family tradition. Anyone who wanted to partake in hunting was welcomed with open arms, and there was no such thing as a stupid question. We were never pushed to hunt, but my parents always made it fun and brought lots of snacks to help keep us entertained. It was never about the kill, but more about the time spent together. There were things I was learning along the way that had some to do with hunting, but were great lessons for life. Things like preparation, patience, disappointment, hard work…the list goes on. All these were valuable lessons that were learned in the field with my family by my side. We’re now in a day and age where family time can be extremely limited. There are so many distractions. From electronics to sports to extra curricular activities, all of our time is limited. Though hunting offers such an amazing opportunity to bring families together. Right now women are the number one growing segment in the hunting industry and nothing excites me more. With a growing number of females taking up hunting, this means there will be more kids getting involved and more families enjoying that same bond I grew up with. Hunting not only brings people together to share a common interest, but I also believe it empowers women. Knowing they have the skills to go out and harvest their own game is quite an accomplishment. Even if some women aren’t quite ready to go hunting immediately, just getting everyone out shooting bows or guns can be a great family activity and is a step in the right direction. In the end, I believe getting more women involved is one of the best things we can do for the hunting community. We need to embrace new hunters and do our part to keep expanding the hunting tradition. One of the most important things you can do is make people feel welcome and embrace anyone and everyone who may be interested in hunting. This is a true passion for me, and my number one goal is to pass that along and keep these traditions alive for generations to come.